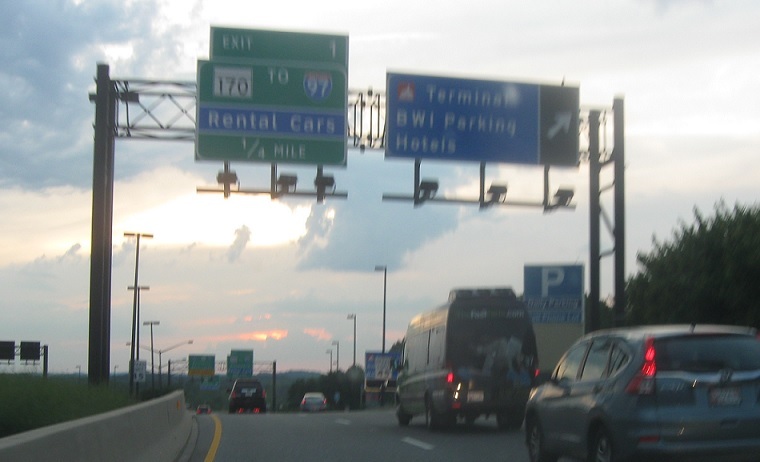 Reassurance shield as I-195 begins and we head out of BWI. 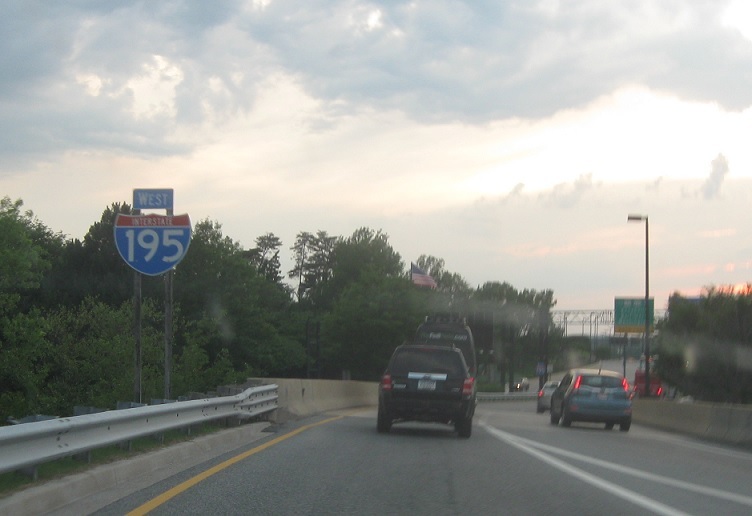 As I-195 begins, we’ll quickly approach MD 170 and MD 295. 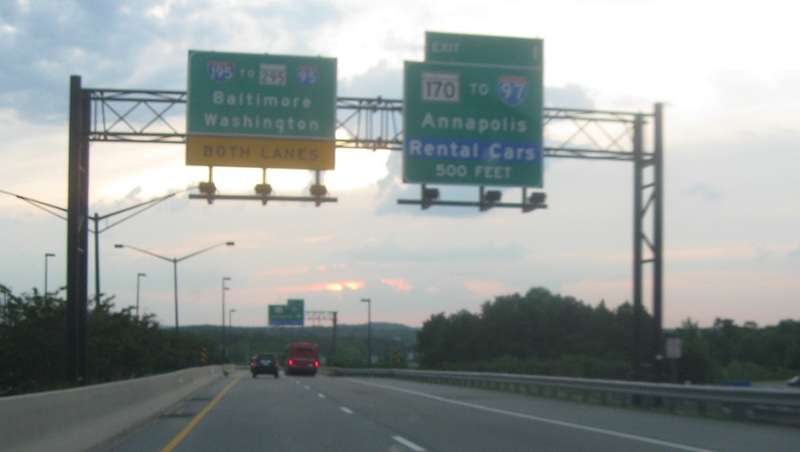 Follow MD 170 to Interstate 97. 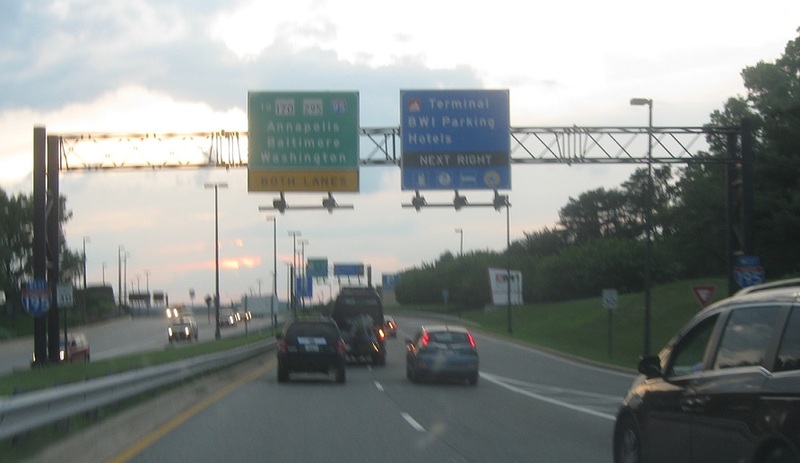 Keep left to follow I-195 to MD 295 and I-95. 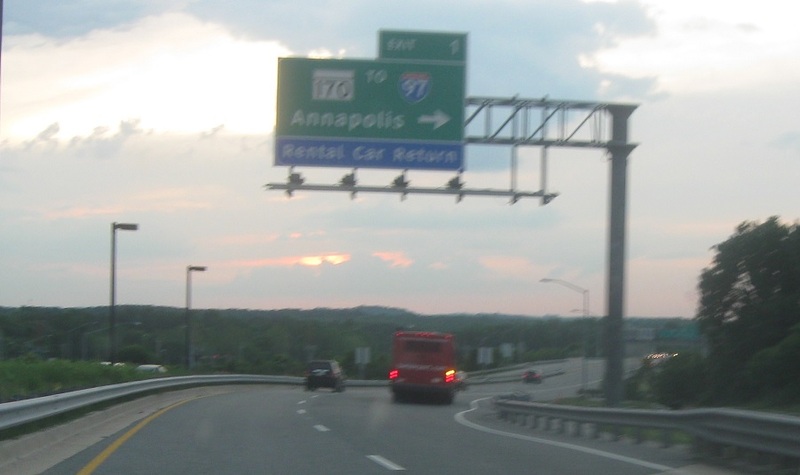 Keep right for MD 170 to I-97.